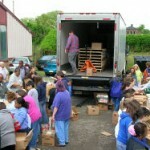 The Westmoreland County Food Bank is a private, not-for-profit organization that supplies food to hungry people through a network of food assistance programs in Westmoreland County. Our 40,000 square foot facility is located in Delmont, Pennsylvania. 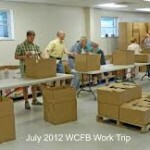 Of each dollar donated to WCFB, $.97 goes to food and food programs. We serve over 7,000 disadvantaged families each month throughout Westmoreland County. We believe that by pooling together all of the community resources, we can make a significant difference in the fight against hunger. Your generous donation will help us to carry out our mission is to enable all Westmoreland County residents who are hungry or at risk of hunger to have ready access to food.